Munster Therapist: Flavio Vega - Therapist 46321. I Use Hypnoalaysis With Select Patients. Send A Message To Dr. Vega. 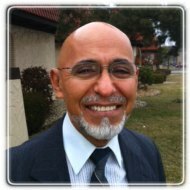 Dr. F. Vega, Ph.D., Psy.D., H.S.P.P. Dr. Vega has earned degrees from the University of Indiana, the University of Minnesota, and the Illinois School of Professional Psychology. He holds both the Doctor of Philosophy and the Doctor of Psychology degrees and has more than 30 years of combined experience in the fields of higher education, research, and counseling/therapy. He is a Licensed Clinical Psychologist, a Health Services Professional in Psychology, a member of the American Psychological Association, and a member of the American Academy of Medical Hypnoanalysts.